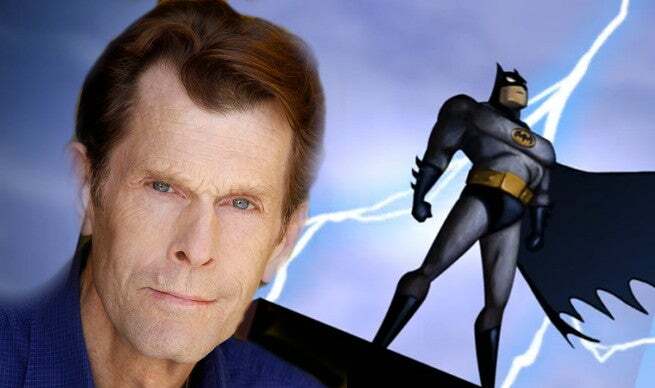 With rumors now swirling that Mark Hamill will voice The Joker again in the forthcoming, animated adaptation of Batman: The Killing Joke, everyone has the same question: will Kevin Conroy return as Batman? "There's an online petition to have us do it!" Conroy boasted when we spoke with him about his upcoming guest appearance on the second season of Netflix's Turbo Fast. When asked about the realities of it -- whether he would want to go another round with his longtime foe? Conroy was enthusiastic. "Oh, God! Are you kidding me? I'd do it in a heartbeat," Conroy told ComicBook.com. "I love working with him. I couldn't believe when they killed off The Joker. I would love to do it, and I hope that that happens." While Conroy and Hamill haven't voiced the characters in recent adaptations of DC material, The Killing Joke was written in the 1980s and takes place in the "old" DC Universe, prior to Justice League: The Flashpoint Paradox. That places it firmly in Conroy's timeline. Batman: The Killing Joke is expected along in 2016.